Capture the power to create. Now let’s breathe life into that 3D design. In 3D printing (or additive manufacturing), the model is divided into layers until the physical object is created. This process enables on-demand production of end products. It is, after all, a manufacturing technology for end-users. When the file is uploaded to the printer, it’s all systems go. With 3D printing, concepts are developed faster and setbacks are prevented easier. Count on us to build customized 3D products for your personal and business needs. This remarkable service is perfect for creating miniatures, replicas, fashion items, toys, scale models, furniture, and more. Whether you are building a product prototype or are looking for a unique birthday gift, turn to 3D printing. 3D2Go is a game changer. Over a short span of time we have single-handedly established the importance of 3D modeling to a wide range of industries, and that is why we continue to earn the respect of industry experts. Thankfully, more and more businesses across the country are beginning to recognize its benefits. Give us a 3D drawing and we will turn it into a digital model. If none is readily available, we will scan, design, and print the object to your desired quantity and specifications. 3D printing is one of the technologies to follow in the modern era, and with our continuous innovation, we make sure that when it comes to 3D printing, Philippines don’t get left out. We are happy to say that so far, we have served almost every industry, including manufacturing, clothing, automotive, architecture, education, and health care. Some of the products we have created include engine parts, toys, scale models, building plans, and consumer products. In all aspects of production, 3D printing shuts traditional prototyping methods down. For one, it guarantees a quick turnaround time. Companies no longer have to put up with the delays of prototyping. This effect on product development and evolution translates to better customer relationships and company focus. 3D printing largely reduces development costs, and the savings can go as high as one can imagine. If the company has to use a specific material, they can do so when the design has already been perfected, and not earlier in the process. Designs/Products Made Faster – The design is subject to scrutiny by more people, from marketing to production, thus ensuring superior quality. If changes are necessary, they can be done at an early stage. Mass Customization – Products are customized according to individual requirements and specifications. At no additional process cost, end-users, whether organizations or individuals, can create numerous products or prototypes at the same time. Sustainability – When standard materials are used, less waste is produced. This ensures a sustainable production process that does not pose harm to the environment. In a nutshell, 3D printing is the process of creating a physical object by “printing” its cross sections layer by layer. It was first used in rapid prototyping so manufacturers can examine and test the design before the end-product is created. The truth is, new 3D printing technologies and processes continue to emerge, and they all focus on industrial and direct manufacturing applications, as well as commercial operations. 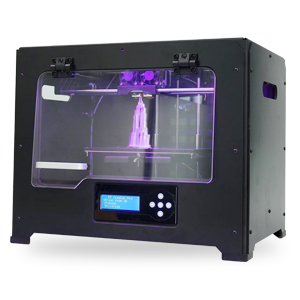 Since the very first commercially available 3D printer was introduced, prices have fallen rapidly even as the technology improves. When the world’s biggest brands are using 3D printing, you know there’s something good about it. Like all of us, you can become a game changer. 3D modeling is a relatively new technology. That means utilizing it already levels the playing field; expertly using it gets you ahead of the competition. At 3D2Go, we want your business to succeed.